Former presidential aspirant Senator Grace Poe has filed a bill that seeks to amend the Family Code of the Philippines and update the grounds for legal separation- to include physical violence. When she was campaigning for the country's top post, Sen. Poe commented on strengthening the Legal Separation Article of the Family Code of the Philippines. “The wording is problematic because, first, the abuse must be repeated, putting the life of the victim at risk; and second, it does not recognize sexual abuse which is what usually happens in the privacy of homes,” Senator Poe added. According to Sen. Poe, under the current Civil Code, any physical violence less than an attempt on the life of the other spouse is not a ground for legal separation. This is the main purpose for introducing the new Senate Bill. Sen. Poe wants the reduce this requirement. In her proposed bill, the physical abuse need not be repetetive, nor should it be due to an attempt on life. This means "A husband who physically manhandles his wife every time he is drunk without intent to kill" will be a ground for legal separation. 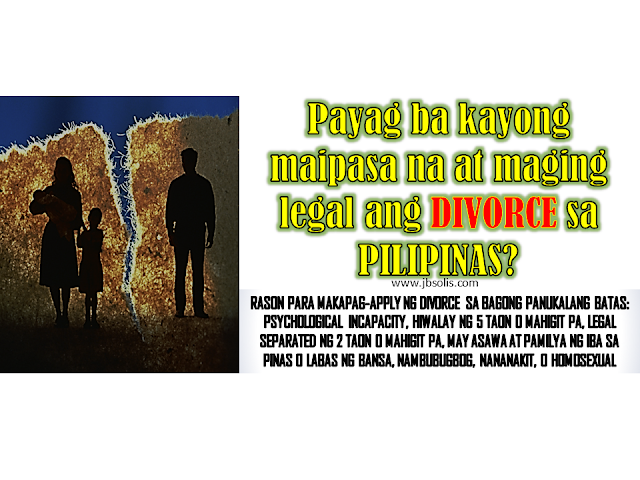 Currently, the Philippines has no Divorce Law. But a very similar effect can be achieved via either annulment or legal separation. As annulments tend to be very expensive and takes a longtime for a finality of decision, many resort to legal separation. 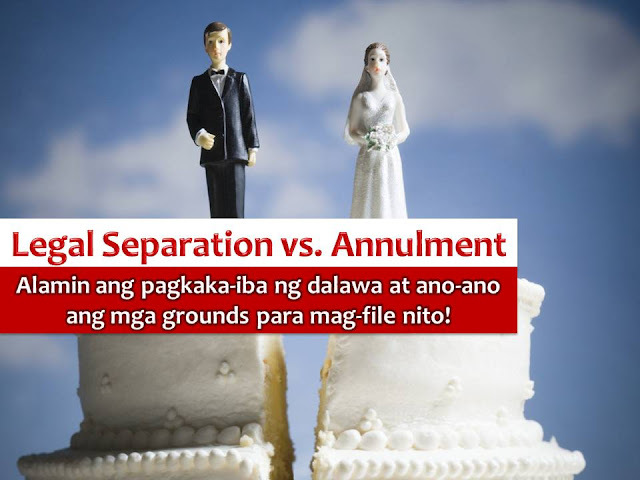 But what is the difference between Annulment, Divorce and Legal Separation? Watch this video to find out. Senator Poe says her proposal applies to both spouses, regardless of gender. She is merely filling a "gap" in the existing law.